Are you looking for books to add to your Christian reading list? 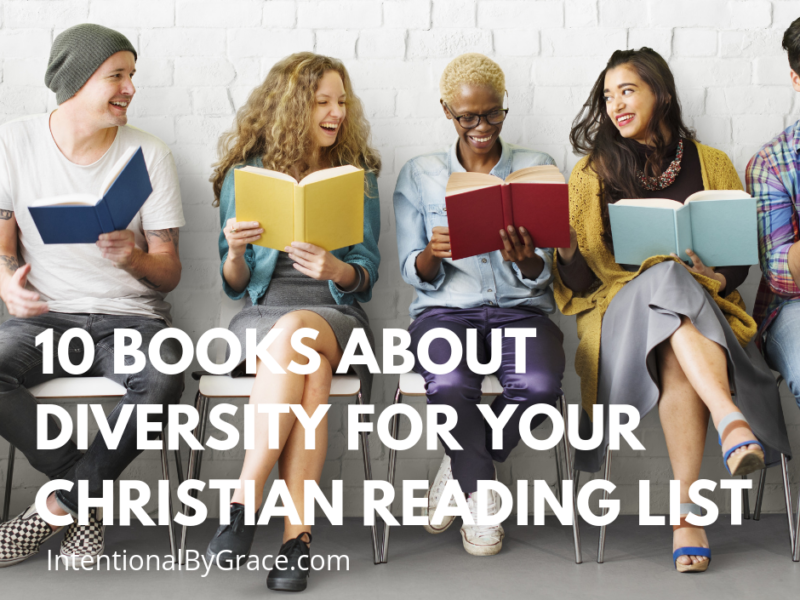 Today’s post will help you add books about diversity to the stack! 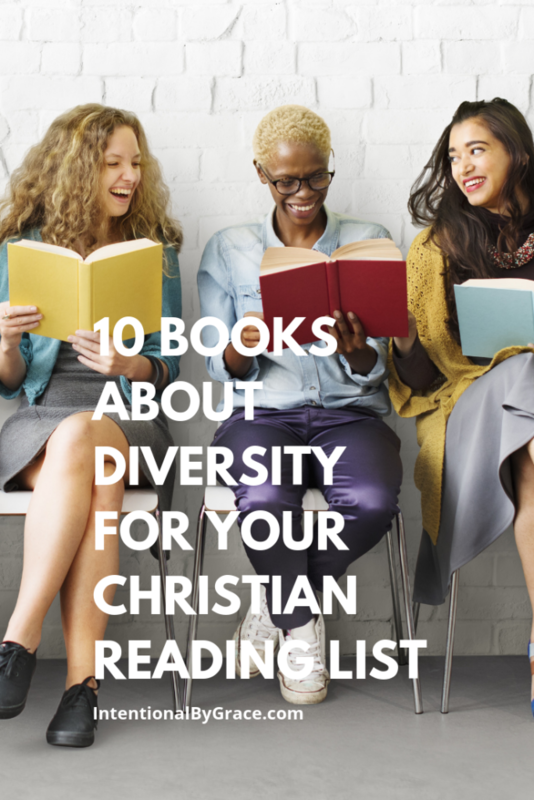 Diversity is a hot topic in our culture and churches right now, and we thought it would be helpful to pull together a list of book suggestions for this category. As women, we were made to give life. 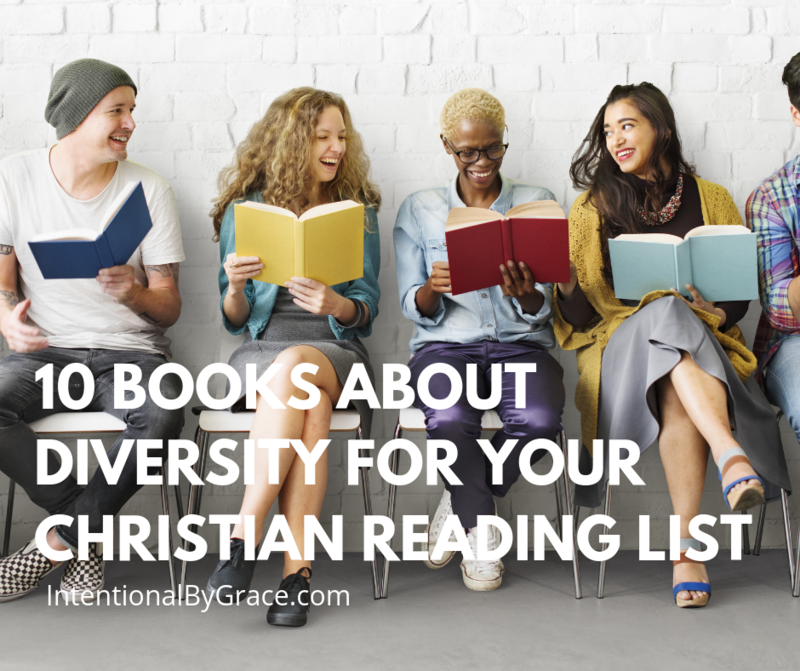 Therefore, today we’re sharing 10 books related to the topic of diversity that we mined out of the sea of Christian reading material to help guide you into a deeper knowledge on this topic. Because I believe the more we know (and understand perspectives) of others, the better we will love and help bring wholeness to those we come in contact with through our words, actions, and attitudes. From the Publisher: Preston Sprinkle has encountered these same questions, and as a theologian and a college professor he has dealt with these issues firsthand. Through honest conversation, real-life examples, and biblical research, Sprinkle unpacks what we can know to be true, and how Scripture’s overall message to us today allows us to move forward and find answers that align with God’s intent. From the Publisher: At age nineteen, Jackie came face-to-face with what it meant to be made new. And not in a church, or through contact with Christians. God broke in and turned her heart toward Him right in her own bedroom in light of His gospel. Be Aware — to understand that the issue of justice is not a black issue, it’s a kingdom issue. To learn how the history of racism in America and in the church has tainted our witness to a watching world, Be Redemptive, and Be Active — to move beyond polite, safe conversations about reconciliation and begin to set things aright for our soon-coming King, who will be looking for a WOKE CHURCH. From the Publisher: It’s time to capture a glimpse of God’s magnificent creativity. In the pages of United, Trillia Newbell reveals the deeply moving, transforming power of knowing—really knowing—someone who is equal yet unique. As we learn to identify in Christ rather than in our commonalities, we begin to experience the depth and power of gospel unity. From the Publisher: In her late 30s, Rosaria encountered something that turned her world upside down-the idea that Christianity, might be right about who God was. What follows is a story of what she describes as a “train wreck” at the hand of the supernatural. These are her secret thoughts about those events, written as only a reflective English professor could. From the Publisher: The Color of Compromise provides an accurate diagnosis for a racially divided American church and suggests creative ways to foster a more equitable and inclusive environment among God’s people. From the Publisher: In Generous Justice, he explores a life of justice empowered by an experience of grace: a generous, gracious justice. This book offers readers a new understanding of modern justice and human rights that will resonate with both the faithful and the skeptical. From the Publisher: Christians who are confused by the homosexuality debate raging in the US are looking for resources that are based solidly on a deep study of what Scripture says about the issue. In People to Be Loved, Preston Sprinkle challenges those on all sides of the debate to consider what the Bible says and how we should approach the topic of homosexuality in light of it. From the Publisher: In A War of Loves, David recounts his dramatic story, from his early years exploring new age religions and French existentialism to his university experiences as an activist. Following supernatural encounters with God, he embarked on a journey not only of seeking to reconcile his faith and sexuality but also of discovering the higher call of Jesus Christ. 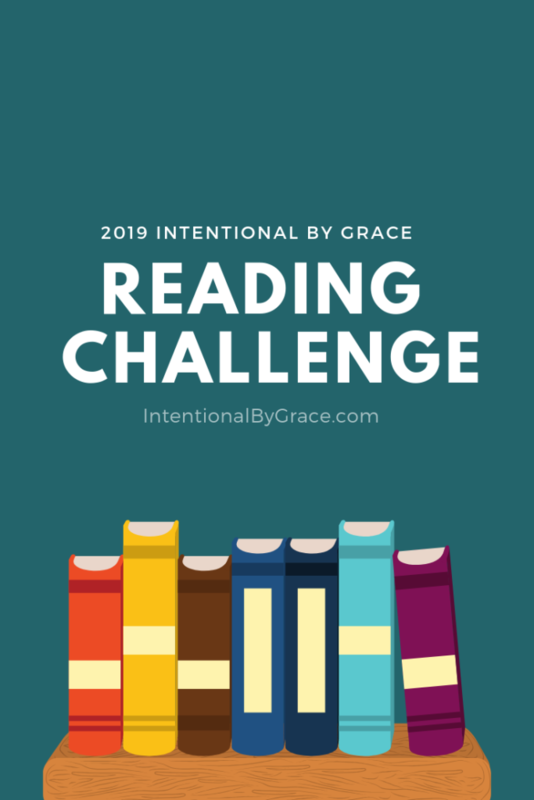 Have you signed up to take the 2019 Intentional By Grace Reading Challenge? It’s not too late to sign up to take the 2019 Intentional By Grace Reading Challenge. Click here to learn more about this year’s reading challenge, or insert your email address in the form below. We’ll send everything you need to know to get started right to your inbox. I love this list, guys—thanks for the great recommendations!